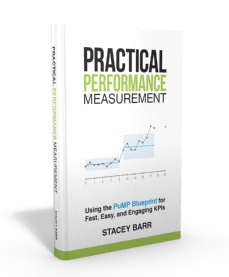 Before you can successfully find meaningful performance measures, you have to know what a good performance is. Sometimes it’s easier to start by defining what ugly performance measures are, because the flipside of what makes a measure ugly helps you define what makes a measure good. Winning an award is an event. Good performance measures aren’t events. 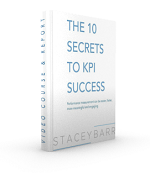 They are regular, ongoing, actionable feedback about the result you’re trying to improve. Besides, any customer service award worth its salt would ask you how you measure your customer service performance and use those measures as part of the criteria for judging if you deserve the award. Implementing something by a due date is a milestone. Milestone achievement is simply evidence of an action, not a performance result. And like winning an award, they don’t give regular and ongoing feedback that’s actionable. Milestones are useful for project management, but they’re not good measures for performance management. 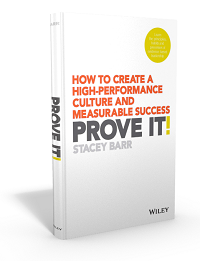 How is staff productivity evidence of how good customer service is? Can’t you imagine how staff productivity could improve, but at the expense of customer service? It’s an ugly measure because it’s just not in any way relevant evidence of the result. Customer Loyalty is too ambiguous to be a good measure. There is not a universal standard for how to calculate a measure called Customer Loyalty. Loyalty means different things to different people: retention, lifetime value, referral, % share of pocket, etc… Vague labels that stand alone like this don’t make good performance measures. A survey is a data collection method, not a measure. A customer survey collects a lot of data, data that could be used for a wide variety of potential performance measures. Perhaps this is why surveys are usually too long and not useful: people don’t define the measures before working out the data they need and the best way to collect it. TAKE ACTION: Download the “Have you got ugly measures?” Template to find out if any of your current measures are downright ugly.